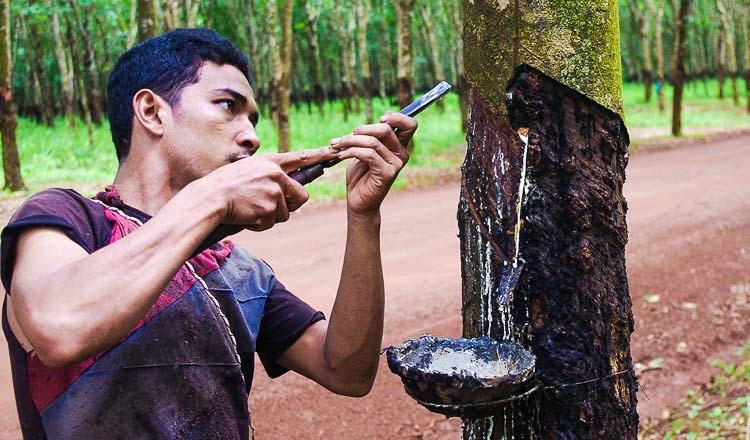 The Food and Agriculture Organization of the United Nations (FAO) and the Ministry of Agriculture are teaming up to establish a project that will focus on lifting the living standards of smallholder rubber farmers in Cambodia, Myanmar and Thailand. A project plan is now being drafted by the parties involved and is expected to be ready this week. 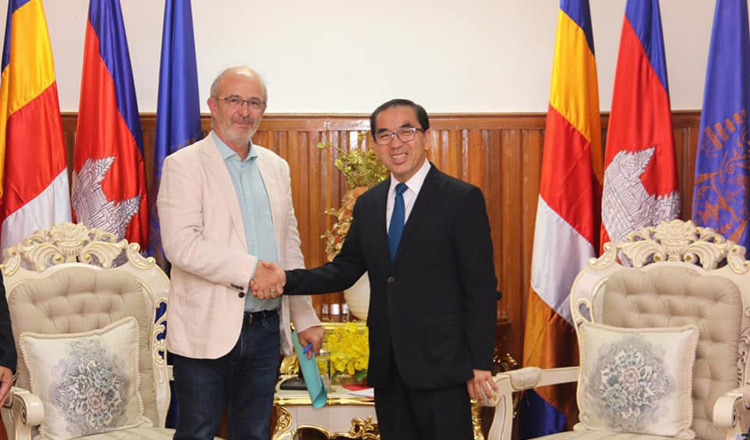 Plans to create the new project were made public last week during a meeting between Cambodian Agriculture Minister Veng Sakhon and Pierre-Marie Bosc, senior officer at FAO. Mr Bosc said the project will involve collecting data from each country, analysing it, and comparing each data set to assess the efficiency and productivity of the countries’ rubber sectors. He said the programme is being designed with the cooperation of French research centre CIRAD. “We found that farmers that harvest latex encounter problems in a number of areas, particularly pricing, climate change and yield stagnation, among others,” Mr Bosc said. Minister Veng Sakhon said the government fully supports the project, adding that is in line with its goal of boosting the rubber sector by increasing yields, reducing costs, enhancing product quality, ensuring the sector’s sustainability and pushing farmers’ incomes up. “We asked FAO to work with our agriculture experts to advance the rubber sector and make it more sustainable,” Mr Sakhon said. Pol Sopha, director-general of the General Directorate of Rubber, told Khmer Times that his department and FAO are now writing a plan for the project, and he expects the document to be finished by the end of this week. 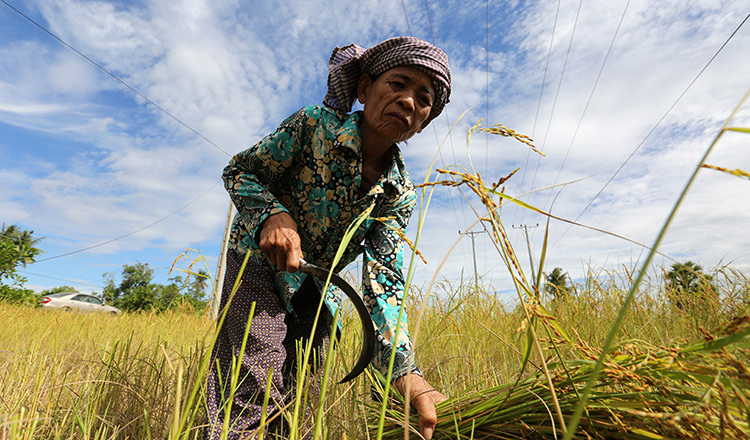 Mr Sopha said that Cambodian farmers are selling latest around 4,100 riels per kilogram or $1,000 per ton, adding that the price they need to break even is $900 per ton. 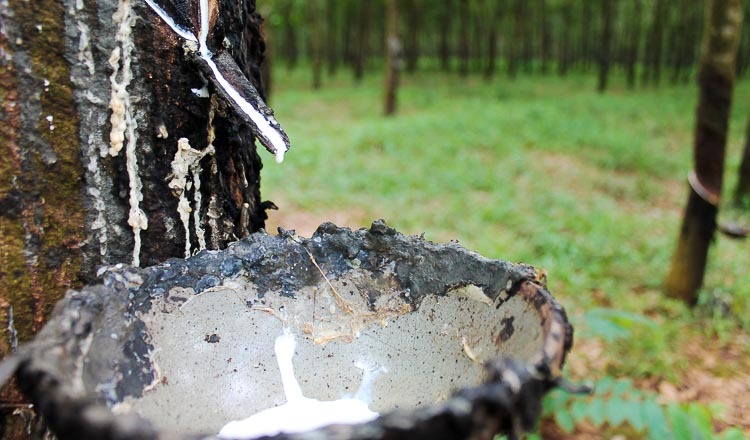 He said Cambodia has 160,000 hectares of land cultivated by smallholder rubber farmers, and 70 percent of this land has already been harvested. 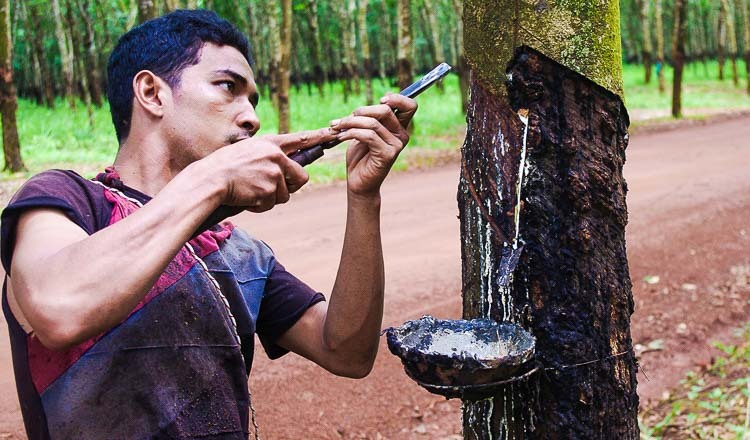 Cambodia is able to produce 220,000 tonnes of natural rubber per year, he added.